Gold Star's customers were treated to a 3-boat charter trip with Milky Way Charters. 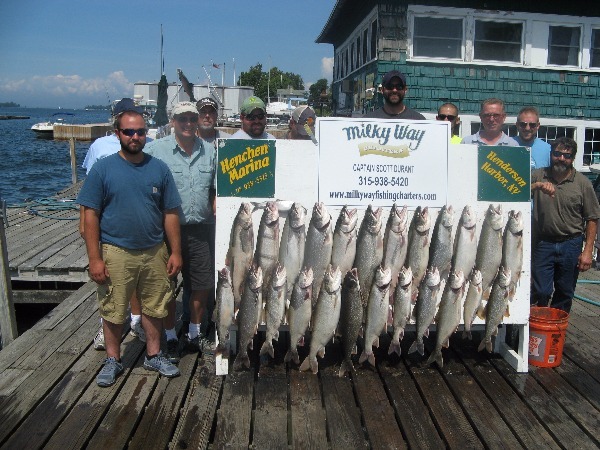 On Friday, Aug. 19th the crew headed out for a beautiful day on Lake Ontario to try their hand at fishing. Even though it has been a tough year for farming for these farmers, their time on the boats resulted in some not so tough fishing and a great day of getting away from the "farm." 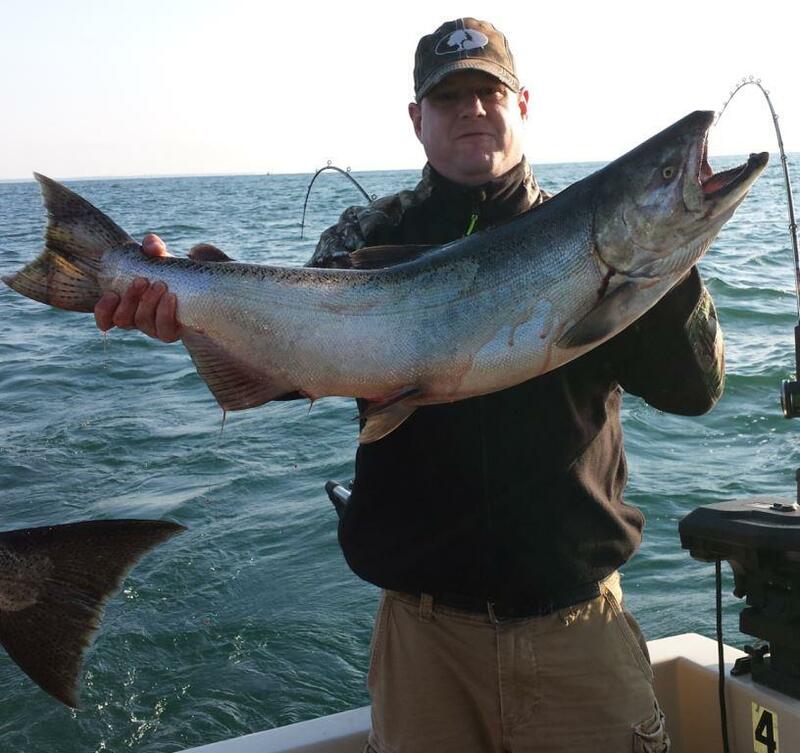 The Milky Way, along with 2 boats from the Saiff Charter fleet, caught limits of Lake Trout. After a few hours of good fishing, there was also some good eating when it came to trying out their catch of the day when Bill Saiff's Westview Lodge cooked up a delicious "shore" lunch for them back at the Lodge. Once again, the staff at the Westview did a great job of cooking and serving lunch to all the guys.